Stock market investment always attracts people whether they have the knowledge or not. Thanks to various media and bombardment on social media to share market tips, nowadays tips are readily available on all sources of media. The million dollar question is, are people actually making money from those tips? the answer is hardly anyone. 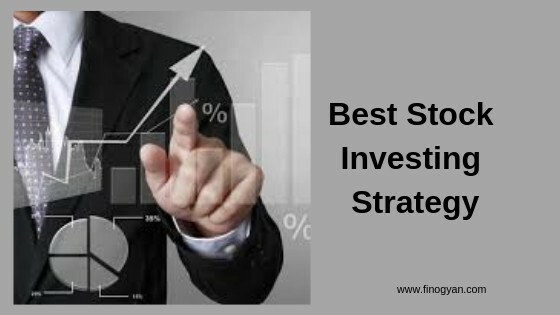 To earn money from the stock market you should have a stock investing strategy not to just depending on share market tips. I still remember, earlier we used to have a very few options available for share market news/tips like Economic Times, Dalal Street, Capital Market magazine are few of them. Now with the increase of various media, you can get all market data/news available at your fingertips on a real-time basis. Now it has become very easy to analyze or track any stock on our own. If you have a basic knowledge of the stock market, still you can earn money just by following a simple and well-known stock investing strategy i.e " Buy on Dips ". But how to buy on dips, you can't simply go and buy a falling stock from the market. To actually earn money from the stock market on "Buy on Dips" you can follow below four strategies. Though you can use the strategy for both intraday or swing trade I would suggest to use it for a swing trade or for long term trade. This strategy doesn't require any technical knowledge of the stock market, you need to find out fundamentally strong Nifty 50 stocks and track those stock on regular basis. You need to update yourself any news and development of those stocks on time to time basis and normally avoid those stock which is in negative news. You can buy those stocks in dips on below any strategy or combination of one or two strategies. You may also like to read Do you trade in the stock market on Stock News? Avoid five common mistakes to earn money. When a stock falls more than 20 percent it can become a buying opportunity for you. It is not advisable to buy the stock while coming down, you should buy once its get stable or bottom out. The indication of bottom out is, at least three positive close, so if the stock gives three positive close after 20 percent fall or more you can buy the stock. You have to be disciplined while booking the profit if the stock falls 20 percent than your profit booking should be at 10 percent. Buy on dips when the delivery volume is growing. If a stock corrected 20 percent and after the bottom out as mentioned above if the delivery volume is increasing substantially in the particular stock. In such a situation, you should definitely buy the stock for the minimum target of 10 percent profit in short term. Buy on dips from the peer group when there is negative news. Sometimes the whole group of stocks gets beaten down when there is negative news in a particular stock in that group. For example, if VEDL falls 25 percent on certain news other fundamentally strong stocks also fall. In such a situation, you can select the one which has corrected the most and is fundamentally strong for a 10 percent profit in short term. When there is a crash in the stock market you can find out the fundamentally strong stock which has got corrected the most and once the market settles down you can buy the stock. You have to be disciplined while booking the profit and should not repeat the process frequently in the same stock otherwise you can get stuck for the long term. Buy on dips is a very easy and simple stock investing strategy in the stock market, one can easily earn money using this strategy. 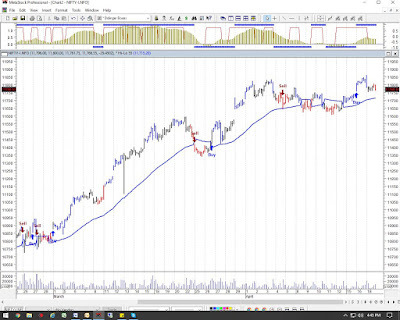 I have mentioned four different strategies you can use any one or a combination of two strategies for swing or long term trade to earn money from the stock market. You can also let me know if you have any other winning buy on dips strategy. Also, read the article Is a Demat mandatory for Intraday/ Futures and Options Trading?